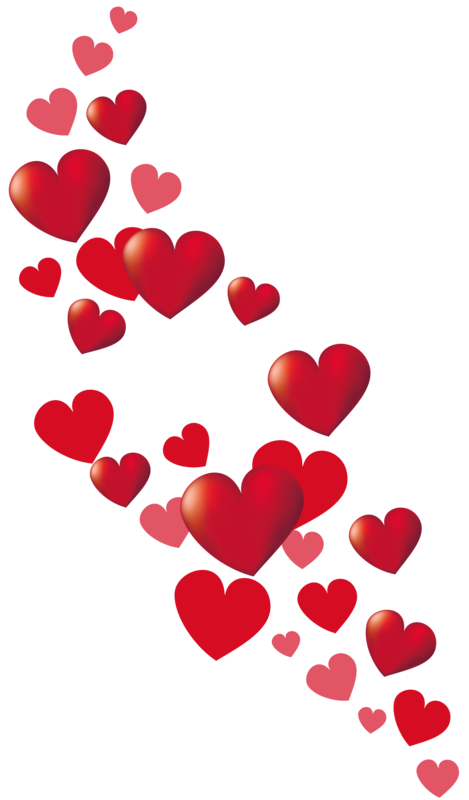 If you want something a little more romantic with your mysteries, the Love Can Be Murder Novellas may be just the tasty morsels you need. 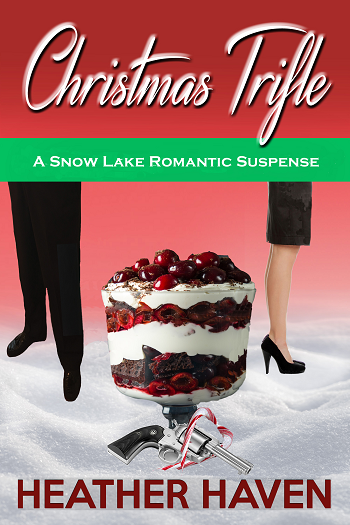 With dark hair, twilight colored eyes and a fiery temper, Lee Alvarez is about as hard-boiled as a two-minute egg—but this Sam Spade fan wears Vera Wang. Discretionary Inquiries detective agency is bringing the noir detective novel to the modern setting of the San Francisco tech world. Now she and her new husband, Gurn Hanson, will be ferreting out suspects in Silicon Valley, as well as a slew of new locations. The first place she’ll be tucking clues into her Louie Vuitton bag is Hawaii and on her honeymoon! 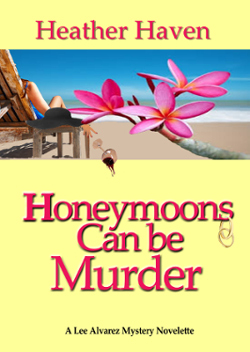 “Honeymoons Can Be Murder” is the perfect beach reading for honeymoons or Hawaiian vacations. 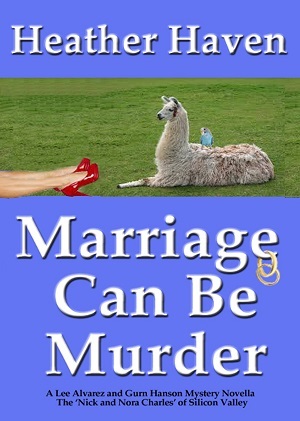 Marriage Can Be Murder, the second in the Lee Alvarez Mystery Novellas. Dolores de la Vega is a legend, not just in her own mind, but to the eight men who married her. Each discarded in turn, one or all of them seem to be trying to kill the sixty-eight-year-old actress, who admits only to the age of fifty-eight. What else is she not admitting? Maybe her abandoned-at-birth daughter? Wherever Lee Alvarez and hubby Gurn Hanson look, someone bears the wealthy lady ill-will. Speaking of wills, they are all in hers. And none of them will be sad if she dies.